When Jason Jackson took over the reins as CTO of Thailand’s Ascend Money under a year ago, he was confronted with a hodgepodge of applications built by different IT teams in six countries across the region. What would an organisation that has success fully implemented DevOps look like? 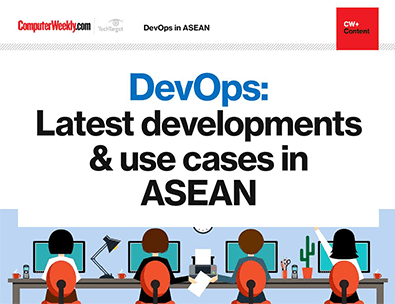 Hear from the Asian businesses doing it right plus get useful advice on how to overcome barriers to DevOps adoption. Although the company’s business was booming – it served around 30 million customers and processed $5bn worth of payments last year – it had to grapple with issues like any fast-growing company. To keep pace with the business and become a more nimble IT shop, Ascend Money, one of Southeast Asia’s largest payment technology firms, had to turn its legacy WebSphere applications into more manageable containerised applications that run on a common platform. “There was a huge need to standardise on technology selection and give people a centre point that they could all align towards,” Jackson said. Jackson, who was previously Pivotal’s Asia-Pacific CTO, sprang into action, first by identifying applications that were still useful, but had to be migrated out of WebSphere. Their source codes were then embedded into Spring Boot applications that would run in Docker containers on its application platform powered by Red Hat OpenShift. While Jackson’s team is still rolling out OpenShift in production environments in new datacentres in Thailand, his developers have been running Minishift – a local copy of OpenShift – on their laptops to ensure the Spring Boot applications will work as promised when deployed. The next step, Jackson said, was to identify Spring Boot applications that could be decomposed into microservices. “The primary driver for that is to have a better application architecture around shared services, so we don’t have common functionality in 10 different applications,” he said, adding that services are “owned” by service teams who are responsible for the lifecycle of each service. But it was not just about the technology alone; there was also need to instil some discipline into development processes. “Some people were writing specifications while others were having big meetings to talk about what they wanted to do, which somehow made it into the source codes,” Jackson said. Engineering teams were restructured, and expectations of what product development should look like were set. Security, operational and quality assurance processes were also put through a continuous integration/continuous development (CI/CD) pipeline for the first time. Likening Ascend Money’s application platform to a core banking platform that sits on top of OpenShift, Jackson said IT teams in each of the six countries can submit a feature or functionality blueprint to a centralised team in Bangkok. Jackson said such an open-source governance model that enables IT teams to contribute to the company’s desired outcomes would have been very difficult to implement without common processes and a common technology platform like OpenShift. “OpenShift has enabled us to support legacy workloads without requiring us to rewrite them into cloud-native, stateless microservices. “It also helped us to run monolithic apps, which we have done almost nothing to, in containers. But if we need to decompose them, we can use the platform and CI/CD processes to do it faster,” he said. On his choice of OpenShift over rival application platform Cloud Foundry, Jackson said he would turn to the latter if he had a team building greenfield, cloud-native applications. “As a piece of technology, Cloud Foundry is great. But I’m incentivised very much by successful outcomes, so looking at the use cases I had in front of me, OpenShift was the best option,” he said. Even before the deployment is completed, Ascend Money is already reaping early returns from its application platform. “We’re better able to develop and support functions across a number of products, with a noticeable increase in the speed at which applications are deployed into production. “The morale of the engineering teams has improved, as they appreciate seeing their code get into staging and production environments without delays,” Jackson said. Youth charity YMCA is in the midst of a push to reduce its reliance on paper-based education aids, with the help of Droplet Computing’s application container technology. DevOps has revolutionised IT, but security best practices are being skimmed over, which means old vulnerabilities are finding a new lease of life in Docker. Microsoft regards containerisation as the next phase in enterprise architectures, and is now offering Kubernetes on Azure. Microservices technology can pave the way for companies to decentralise the way they build software to deliver innovation and reduce the cost of failure.